Understand projectors better with our Projector Specifications Comparison Table below. 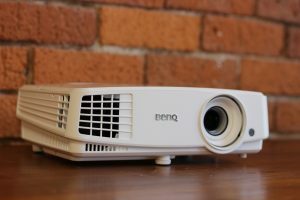 If you are looking for more information about renting a projector, please refer to our Projector Rental Guide or Cables and Adpters Guide pages. They will guide you to find the best fit for your needs! Projectors come in a wide range of brightness levels which are measured in lumens. The brighter the projector is the higher the lumen rating will be. -White brightness (white light output) indicates the total amount of white light emitted by the projector, without measuring color. -Color brightness (color light output) measures how bright the projected colors of red, blue and yellow will be; the higher the number, the more detail and vibrancy you will see. The amount of brightness you need is determined by the room you project in. For home theater projectors where ambient light is kept to a minimum, you’ll need a minimum of 1500 lumens. 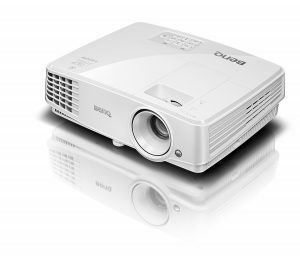 For classrooms, conference rooms or rooms with windows, a projector with a minimum of 2500 lumens is best. For large venues, or an outdoor setting you’ll need more lumens. The contrast ratio is the difference between light and dark on a screen, measured in numbers. If you take the brightest white on a screen and the darkest black and compare the luminosity, you get the contrast ratio. For example, a 1000:1 contrast ratio means that the brightest white is 1000x brighter than the darkest black. In a darkened room, a contrast ratio of at least 1500:1 is recommended, while 2000:1 or higher is considered excellent. Resolution is the number of dots or pixels used to display an image. Higher resolutions mean that more pixels are used to create the image, resulting in a crisper, cleaner image. High resolution is important for projecting detailed charts and graphs, and high-definition video. The resolution is indicated by a number combination such as 1920 x 1200 for Full HD (1080p) projectors. This indicates that there are 1920 pixels horizontally across the display by 1200 lines of pixels vertically, equaling 2,304,000 pixels in total that make up the image seen on the screen. 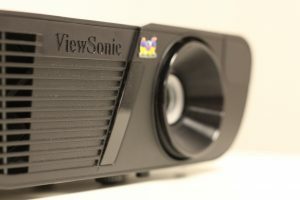 SVGA (800×600 pixels, 4:3 aspect ratio): General use projectors are low-resolution projectors that are more affordable and suitable for projecting simple data, charts, and video clips. XGA (1024×768 pixels, 4:3 aspect ratio): XGA is widely used. Most computers use XGA as their native resolution, so pairing computers to XGA projectors is common. WXGA (1280×800 pixels, 16:10 aspect ratio): WXGA is the widescreen version of XGA — delivering the same vertical resolution but providing 20% more horizontal resolution. This has become a common resolution for notebook computers and smartphone. WUXGA (1920×1200 pixels, 16:10 aspect ratio): WUXGA is becoming the standard for higher-end notebooks and workstation computers. In addition, WUXGA is used for installation projectors and large-venues that require bright, high-definition content. 720p (1280×720 pixels, 16:9 aspect ratio): This format is most commonly used for simple movie projection. It matches the 720p HDTV standard. 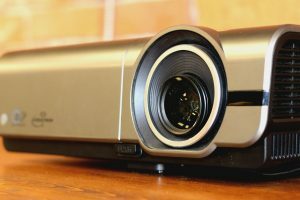 All Business Projectors has 720p as the native resolution, if you want to display high-quality image but do not have a huge budget, this is the best choice! 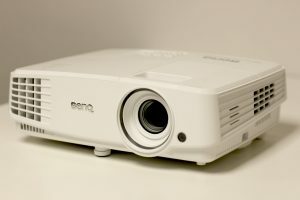 1080p (1920×1080 pixels, 16:9 aspect ratio): Full HD Projector is now the standard format for home theater. It matches the 1080i/1080p HDTV broadcast and Blu-ray formats. For purposes such as showcasing your film, tracing a mural on the wall, this is hands down the best option! Ultra HD. 4K UHD (2160p) a resolution of 3840 pixels × 2160 lines (8.3 megapixels, aspect ratio 16:9) and is one of the two resolutions of ultra high definition. Fancy seeing a film in 4K? This is your go-to option! The throw ratio tells you how wide the image will be when you place the projector at a certain distance from the screen. For example, a 1.8:1 ratio will produce a 5-foot wide image when you place the projector 9 feet from the screen (5 feet x 1.8). 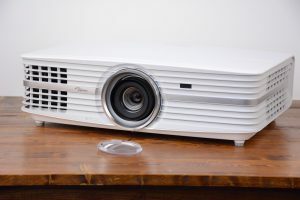 Throw Ratio is important because if you can’t place the projector far enough from the screen due to space limitations, you may need a short throw projector. A short throw projector will allow you to project a much larger image in a very short distance.